These high quality Executive Series models are crafted out of mahogony wood or risen. 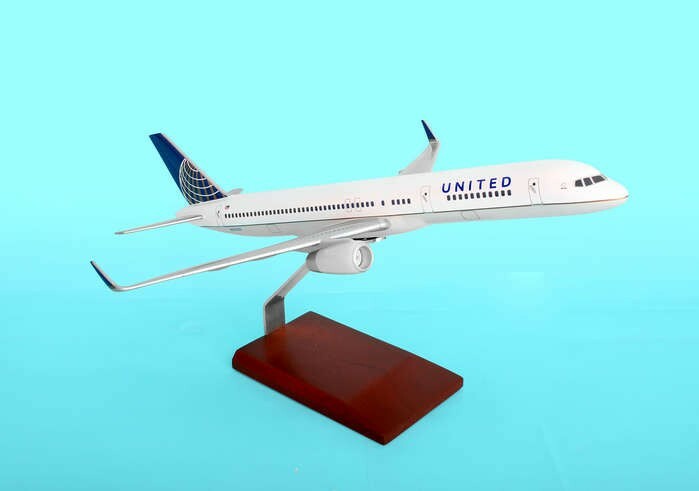 ThisUnited 757-200 Post Continental Merger Livery NEW is in 1:100 scale and comes with a wooden display stand. Pleaes note that these items are available on special order and require 1 additional week for delivery. Note: Oversize charges will apply for expedited shipping on this model.